Is Texas Wine on the Cusp of Greatness? 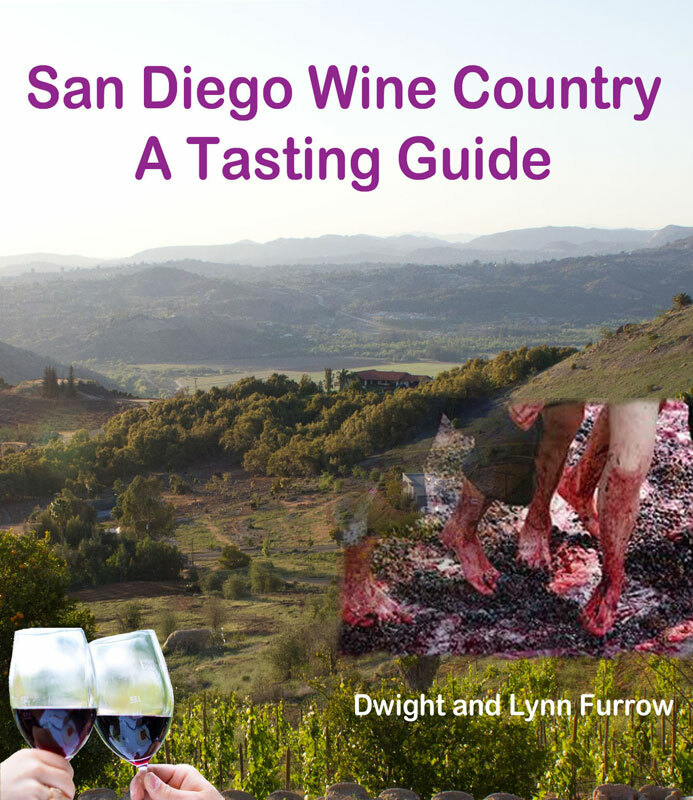 We have visited most of the wine regions in the United States. Texas is closest to the West Coast in overall wine quality. The High Plains near Lubbock, where most of the Texas fruit is grown, boasts fertile, sandy loam soils that drain well, hot summer days and cool nights due to their elevation that encourage both ripeness and good acidity, and generations of farmers who understand row crops but need a more profitable product than their traditional cotton crop. As prices for commodity crops like cotton stagnate and a declining aquifer makes the future of thirsty cotton less attractive, many farmers in the High Plains are converting their cotton fields to grape vines. Add to that a large population increasingly interested in local wine and an attractive, vacation destination in Hill Country just west of Austin and you’ve got all the ingredients for a successful wine region. All of these virtues are attracting talented winemakers trained in Europe or California seeking the expansive opportunities of an emerging wine region. The pretty face of Texas wine is Hill Country AVA. It is the second largest AVA in the country in terms of territory and according to some measures the fasting growing as a tourist destination. Blessed with rolling hills, picturesque ranchlands, and the charming town of Fredericksburg teeming with restaurants and German- themed shops representing the heritage of the early settlers here, these attractions support a very accessible wine trail, all just a short drive from the cosmopolitan city of Austin. It’s no mystery why the area is growing as a destination. There are now over 52 wineries in the AVA and the number grows each year. However, what you won’t find in Hill Country is lots of grapes. Most of the wineries here grow some grapes on estate vineyards but the real engine of Texas wineries is the High Plains about an 7 hour drive northwest of Austin near the New Mexico border. About 80% of the Texas grapes used to make wine in Hill country come from the High Plains according to January Wiese, Executive Director of the Texas Hill Country Wineries association. Wiese reported that acreage under vine in Hill Country is growing. “We had something like 202 acres 4 years ago. That’s grown to around 850 acres.” Yet, she explained, Hill Country features high land prices, ranchers with large tracts of land who prefer cattle to vineyards, and a more humid climate exacerbating disease pressure. Thus, Hill Country is likely to remain a minor player in terms of grape tonnage compared to the High Plains which now has about 3500 acres under vine . There are limitations to this arrangement. The High Plains are flat and the weather quite uniform throughout the region. Thus, there are few microclimates to produce individual expressions of terroir although soil mixtures are diverse helping to maintain some differentiation among vineyards. There are a few wineries near Lubbock but, although a thriving city, it’s well off the tourist track. Thus, the relationship between Hill Country and the High Plains is likely a permanent feature of the Texas wine industry. Therein lies one of the real challenges that Hill Country wineries face. Most winemakers, at least those who care about quality, like to walk their vineyards and get to know their vines. Especially as harvest approaches they need to taste grapes and chew seeds everyday, with one eye on the weather, to plan their harvest schedule. That’s tough to do when you’re almost 400 miles away. Drone images and Google Docs for reporting stats help but there is nothing like the personal touch when it comes to grape quality. Add to that the need to find enough clean trucks with chillers to get the fruit to the winery in Hill Country during the deluge at harvest, and the problems associated with geographical distance have a direct impact on wine quality. The solution is more tank farms and crush facilities on the High Plains all of which are in the works according to people in the region. What is likely to take some time and persuasion is developing a culture committed to quality. Those farmers who have grown commodity crops for generations have a tough time getting their heads around the idea of dropping fruit to get lower yields, especially if they’re paid by the ton. The folks in Hill Country claim it’s hard to get enough quality fruit from the High Plains; the folks in the High Plains think there’s plenty of grapes if you do your research. So, you see, there can be some tension there although it all seems to be working out in the end. Because the wine is pretty damn good. Most varietals will ripen on the High Plains although there is a good deal of controversy over the value of some popular grapes. Late season cold spells and rain can make ripening Cabernet Sauvignon a dicey proposition, but in good vintages the quality is quite high. Some folks say it’s too hot for cool-climate-loving Chardonnay and Sauvignon Blanc but some wineries do a nice job with both. Many people say Texas can’t grow Pinot Noir but one of the best wines we tasted in Texas was a Pinot Noir (from Pheasant Ridge winery in Lubbock). Varieties that bud early, such as Chardonnay, are threatened by late spring frost. Frost damage will also limit the age of vines so you will seldom see really old vines here. Hail throughout the growing season is always a threat and, as Katy Jane Seaton, Executive Director of the High Plains Winegrowers Association told me, “we have every disease and pest known to mankind here”. Thus, success is not guaranteed and vintage variation can be significant. All of these challenges make Tempranillo a good choice since it ripens earlier than other big reds, produces good yields and uniform clusters that are relatively easy to harvest, and features a thick skin less susceptible to disease. Despite these advantages, the consensus among winemakers and association reps that we spoke with is that there is no reason to specialize. “Texas should take advantage of its diversity” notes Seaton. The strength of that diversity is evident when you taste through Texas wine. Tempranillo and Viognier may be the most consistently exceptional; the Bordeaux varietals are excellent in good vintages; other Rhone varietals such as Mourvedre and occasionally Syrah make elegant wines in the right location; Italian varietals, especially Sangiovese and surprisingly Montepulciano are consistently good. Although Texas is hot during the summer, the growing season is limited by frost and rain, and when the weather is too hot the vines shut down slowing down the ripening process. Thus, Texas wines are not massive fruit bombs. The typical style here is ripe but elegant with many bottlings showing considerable delicacy and finesse. There is a lot of mediocre wine served to tourists in Hill Country, much of it using west coast grapes to meet the high demand. If a label says “For sale in Texas only” that usually means the grapes were purchased out of state and the finished wine cannot be returned for sale in that state labeled with the appellation in which the grapes were grown. In other words, no Napa-labeled wines made in Texas can be sold outside Texas.That doesn’t make the wine bad but it does mean there is pressure on supplies which can sometimes mean quality is compromised. Weather variation from year to year and the constant threat of disease means that consistency from vintage to vintage is difficult to achieve, and in some years (such as 2013) Texas is able to produce very little fruit making it necessary for wineries to import grapes to have a product to sell. As Katy Jane Seaton noted, “to protect yourself from low yields, you have to be able to import”. Nevertheless, the best wineries, especially those committed to using Texas fruit, are producing excellent wine. With massive acreage suitable for wine grapes in the High Plains, a thriving tourist destination in Hill Country, a large, thirsty urban population, and the capacity for producing quality grapes, there is probably no limit to the potential of Texas as a wine region. 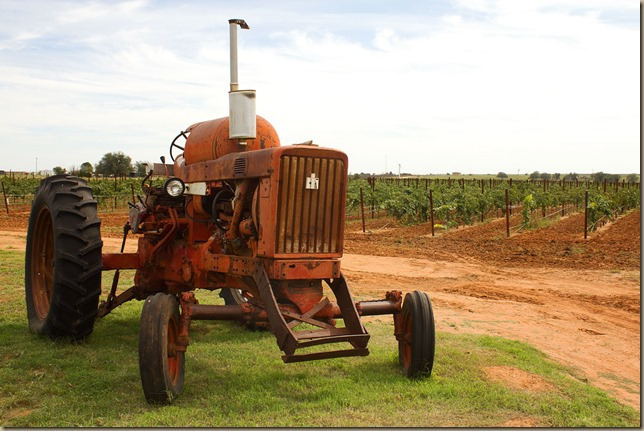 We visited three wine regions in Texas– Hill Country AVA west of Austin, Dallas and the Texoma AVA north of Dallas, and the Texas High Plains AVA. This is far from a comprehensive picture; Texas is a big state and there are wineries throughout. But we tasted through a representative sample focusing almost exclusively on wines made from Texas grapes. It’s worth mentioning that if you’re searching for wine quality, don’t ignore the region North of Dallas. While we didn’t find a lot to love in Dallas/Fort Worth proper, the region about 1 hour north near the Oklahoma border has several wineries producing real quality. And Lubbock is interesting as well—it is after all where the grapes are grown and the wine culture there is sophisticated yet down-to-earth catering for the most part to locals interested in wine. We visited several top wineries in Hill Country in 2015, which we did not have time to visit on this year’s trip. They include Pedernales, William Christ, Infield, and Last Draw all which belong in any discussion of wine quality in Texas. See our review of these wineries here. Perissos may be the only winery in Hill Country using exclusively estate-grown grapes. Overall these wines were among the best we tasted. They feature a gorgeous Viognier, a rich and satisfying Tempranillo (see my full review here) and an award-winning, lovely, complex Montepulciano. Their Sangiovese is plump yet rustic and earthy, and the semi-sweet Fiore Secco Orange Muscat is explosively aromatic with excellent acidity. A comfortable venue with seated tastings. A relatively new winery having opened in 2014, winemaker Bénédicte Rhyne brings remarkable blending skill to the Hill Country wine trail. Using a palette of several Rhone varietals supplemented by Sangiovese and Malbec, her red wines are all about texture and elegance. The 2014 Alluvé, dominated by Sangiovese and Carignan, is billed an everyday drinker but is gorgeous. (See my review here). The Barranca (Mourvedre, Tempranillo and Malbec) was soft, refined, yet juicy with a scintillating mineral core. The Kankar, using California Malbec and Petite Sirah, was big and still a bit blustery, a good candidate for some bottle age. On the white side, a lovely Viognier, an award-winning Roussanne deserving of its accolades, and their signature “Calcaria” blend all had the characteristic textured mouthfeel and finesse. Tastings are accompanied by thoughtful food pairings that highlight the wine’s charms. Spicewood is one of the wineries doing a great job with grapes not usually associated with Texas. Their 2016 Sauvignon Blanc blew me away–crisp with great minerality, expressive peach aromas and a long, briny finish. This is one of the best white wines we tasted. Their light, elegant 2014 Mourvedre, a winner of many awards, had lovely raspberry aromas, a standout as well. As we get into the more structured reds, the 2015 Bordeaux-style blend called Independence, available only in good vintages, and their estate Tempranillo were both powerful and intense. They also make a semisweet Cabernet Claret with 1% residual sugar to pair with Texas chili. Ron Yates, the owner and winemaker at Spicewood, has opened a new winery on the Rte. 290 Wine Trail featuring different wines than are poured at Spicewood. The Sauvignon Blanc here was also quite good but the Albarino was a standout. It featured ripe peach on a lush, medium bodied frame, intense aromatics and a lovely texture. Two 2016 rosés, one from Sangiovese and the other from Cinsault were terrific, crisp and refreshing but with Yates’ trademark textural depth. On the day we visited they also poured a memorable soft, elegant Tempranillo from the 2014 vintage. Frenchman Benjamin Calais came to the U.S. to work in the tech industry but the lure of the grape was irresistible. His wines made from High Plains fruit have a deft, old world touch but with unmistakable new world heft. The spicy, silky white Rhone blend made of mostly Roussanne called Cuvee de la Source was sumptuous and lovely but the focus here is on Bordeaux varietals. Despite the difficulties of getting Cabernet ripe in cool years, the 2015 Cabs had plenty of fruit power. The Cuvee de l’Exposition Lehay Vineyard was laden with savory spice notes and understated elegance. The bottling from the Newsome Vineyard was rich with cedar and graphite and very firm tannins. Both wines were young but expressive. The 2015 Cuvee d’Elme a Bordeaux-style blend from Newsome Vineyard, was pretty and balanced with an intriguing delicate personality. (See my full review here). Tastings are by appointment only at the winery which from the outside looks like an abandoned shack. But the tastings are in depth and among the most informative in the region, often conducted by Benjamin himself. One of my pet peeves is that wineries often sell wine in their tasting rooms before it’s ready. Not Lewis. In 2017 they were pouring their 2012 and 2013 vintages. This is an expensive proposition for wineries but the consumer is getting a wine with some development. They make several Tempranillos sourced from various vineyards, all full of flavor with big spice notes, glorious minerality and emerging earth notes from the bottle age. Their 2013 Mourvedre was a show stopper—a rich palate with lots of earth and their trademark mineral core. And the 2012 blend of Cabernet Sauvignon and Tempranillo was also compelling spending 30 months in second use French and some American barrels. They currently have several Portuguese varieties planted in their estate vineyards which should be ready soon. Duchman, located on a charming destination property just outside Austin, is committed to making wine from 100% Texas grapes. They specialize in Italian varietals including compelling Trebbiano and Vermentino bottlings, a light weight Sangiovese, a spicy, flavorful Montepulciano and a structured, powerful Aglianico. The non-vintage Progression is a blend of the Montepulciano and Aglianco. This is a robust wine with rich, deep aromas, pleasing earth and herbaceous notes and a long, rustic finish. Their Grape Growers Blend brings together the Montepulciano, Sangovese, Aglianico with some Syrah for a smooth, medium bodied daily drinker. These wines combine new world ripeness with some of the rusticity we associate with Italian varietals. One of the larger producers in the area at 25,000 cases and widely available in Texas. Located in Dripping Springs just west of Austin, Solaro pours wines made from their Estate grapes as well as fruit from West Coast vineyards and several wines made by the Solaro group in Italy. Their rich assortment of wines include Bordeaux, Rhone, and Italian varietals. We tasted a creamy, unoaked Chardonnay from Washington State fruit, a spicy Montepulciano from estate grapes making creative use of a bit of volatile acidity, and Tempranillo and Malbec from Washington State. This is a large production winery on an attractive estate and a frequent stop for tourists along the Route 290 wine trail. It’s a destination with a fine-dining restaurant on premises and a large, busy tasting room. They source fruit from their estate vineyards as well as from the High Plains. However, with an annual case production of 55,000 cases mostly sold out of their winery, they must import some fruit which gets blended with fruit from their Texas vineyards. It’s a bit hard to tell from their tasting menu which wines are from Texas but the tasting room staff can help sort things out. Nevertheless the wine here is quite good and worth a stop. Their Cuvee Blanc is a Viognier dominated blend of several varietals. It’s aromatic yet delicate and elegant on the palate, a lovely wine as was the soft, elegant Cabernet Trois, a blend of Cabernet Sauvingnon, Cabernet Franc and Ruby Cabernet. The super-Tuscan style Bellissimo, a blend of Sangiovese, Cabernet Sauvignon, and Merlot was structured with great depth, although the tannins need time to settle down. Mosaic, a Bordeaux-style blend also impressed with its rich mid-palate. Located about 80 miles north of Dallas, charming, rustic Brushy Creek was the first winery in this area since prohibition. Les Constable has been making wine from Texas grapes since 1991, opening his commercial winery in 2000. His tasting menu is full of gems. Brushy Creek is the only Texas winery making wine from the Eastern European white grape Rkatsitelli, worth a stop in itself. (see my full review here) Lovely Carignan and Mourvedre, a light, delicate Sangiovese, a stunning, powerful Tannat, and several delicious Tempranillos in the Reserva and Gran Reserva styles fill out the lineup. And talking to Les is a real education in Texas winemaking. Long time grape growers in this region, Howard and Amy Davies started making their own wines in 2007, with winemaking chores now handled by their son Grayson. They advertise “wines as big as the state of Texas” but in fact their wines are elegant, subtle, and polished, overall among the best we tasted in Texas. The Chardonnay, the white blend of Chardonnay and Roussanne, called “True Friends”, and their Roussanne are explosively aromatic, round and full in the mouth, yet crisp and delicate. Ryan’s Red, a Cabernet/Syrah blend is smooth and charming, the Tempranillo tasty, and the gorgeous Syrah the closest thing you can find to Cote Rotie without travelling to Southern France. (see my full review here) Most of the grapes are estate grown; only the Tempranillo is made from High Plains fruit. Come for the ostrich; stay for the wine. 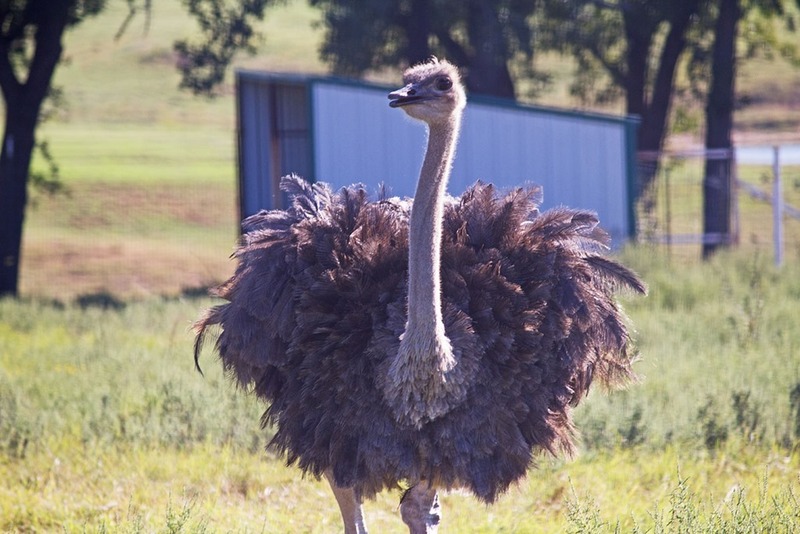 Yes, they have two ostriches roaming the fenced-in space in back of the winery on property that was formerly an ostrich ranch. But the wine is good as well. A clean, fresh estate Viognier and a spicy, floral estate Tempranillo opened our tasting. Their 2014 “Bruder” Reserve Tempranillo was smooth and velvety, quite impressive, and the 2015 Empty Sea estate blend of Cabernet Sauvignon, Tempranillo, and Merlot was flavorful but will benefit from some time in the bottle to soften the tannins. Solid winemaking and a charming place to while away an afternoon. Pheasant Ridge has one of the more compelling stories we discovered in Texas. An early grower and advocate for Texas wines, the legendary Bobby Cox lost his winery in the early 1990’s due to financial setbacks but thanks to the efforts of Bingham Family Vineyards who acquired the property via an auction, Mr. Cox is back in the saddle. Some of the wines currently being poured were made by the previous owner. But Les pulled out one of his wines from the early days—a 1993 Pinot Noir that was absolutely stunning. The best wine we tasted in Texas, a wine region where Pinot Noir is only occasionally grown. (See my full review here) 2016 is the first vintage with Bobby back at the helm and his Chenin Blanc from that vintage is excellent. With several wines now in barrel looking ahead to a 2018 release date, this is a winery to watch. This is the oldest commercial winery in the state and now one of the largest, producing about 170,000 cases annually with distribution in several states as well as outside the country. With production that large, most of the grapes are purchased from vineyards around the state and elsewhere. However, the wines distributed to their wine club are from 100% Texas grapes. The tasting options in the tasting room are enormous. We focused on their premium list made from Texas grapes. The Mont Sec Sauvignon Blanc was excellent, one of the best white wines we tasted. The Dry Chenin Blanc and Viognier well-done. The THP Montepulciano was very spicy and rustic. A soft, elegant Malbec and representative Texas Tempranillo prepared the way for two blockbusters. The award winning 2014 Sangiovese/Cabernet blend called Viviano was stunning, beautifully integrated and utterly harmonious. The 2015 1836 (a reference to Texas’ independence from Mexico) is a proprietary blend with a distinctive nose of leather and floral notes, really quite unique. If you stick to the premium tasting menu, there is excellent quality here. An urban winery in downtown Lubbock, McPherson Cellars is a monument to Texas wine history. Winemaker Kim McPherson’s father along with Bob Reed from Llano Estacado founded one of the first post-prohibition wineries in Texas in 1976. McPherson Cellars was opened in 2008 to keep that legacy alive. This winery is notable for its affordable approach. We didn’t find any blockbusters here but every wine is well-made and won’t break the bank. The winemaking aims at pure fruit expression, with reds lightly oaked and whites, crisp and refreshing. The 2015 Dry Muscat, the 2015 Vermentino, and the white blend “Les Copains White” were focused and luscious. Each were under $20, all excellent values. The 2015 Cinsault had wonderful fruit quality as did the Les Copains Red Rhone-style blend. This is an interesting project. Three long-time grape-growing families in the High Plains, who sell much of their fruit to Hill Country vintners, have banded together to sell wine to enable the local population to “taste what they grow”. The wines are made by Llano Estacado and include: an elegant, minerally Pinot Grigio; a scrumptious, sweet Gewurztraminer; a rustic yet robust Sangiovese/Merlot/Malbec/Montepulciano blend called Intersection; a beautiful Reserve Malbec with lots of perfume and an elegant evolution on the palate; and the 2015 Relentless, a Merlot/Malbec blend that was quite good. Their comfortable tasting room is in the small town of Levelland. This is a very small production operation, around 1200 cases per year, so they will often be out of specific wines. Cross posted on Edible Arts on 1/3/2018. Hey, there! Just wanted to let you know that I’m using a paragraph of this post as an excellent example of paragraphing in blogging at next week’s Wine Bloggers Conference in Walla Walla – hope to meet you there!